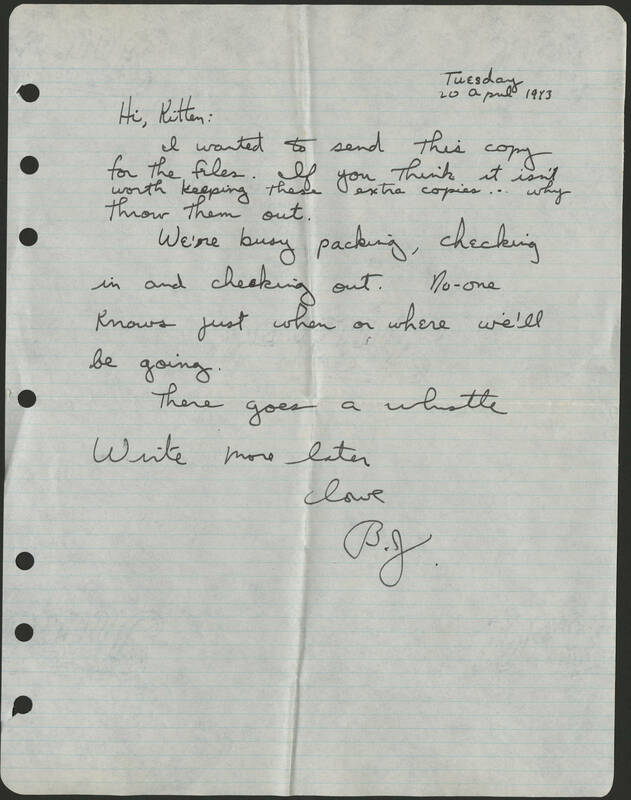 Tuesday 20 April 1943 Hi, Kitten: I wanted to send this copy for the files. If you think it isn't worth keeping these extra copies...why throw them out. We're busy packing, checking in and checking out. No-one knows just when or where we'll be going. There goes a whistle Write more later Love B.J.